We don't tend to travel or explore the places where we live. I always had my eyes set further afield and didn't travel enough of Texas when I lived there. Now that I've married a man from Argentina, I've made more of an effort to travel the lone star state with him. It's fun to show him where I grew up and explore new places together. So when we were visiting family for the holidays, I jumped at the chance to finally check out the famous BBQ places in Lockhart Texas. Lockhart is a tiny town 35 miles south of Austin (making it a quick drive from Lockhart to Austin), with a population at just around 13,000. 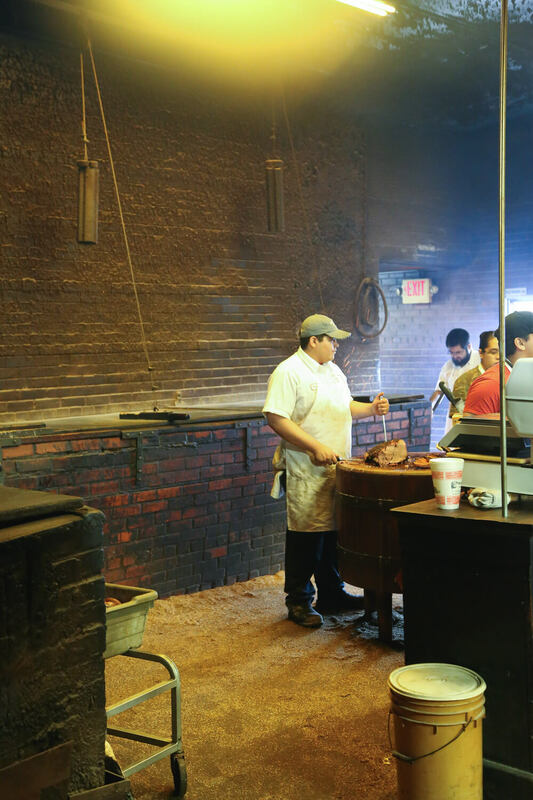 In 1999, the Texas Legislature passed a resolution that officially recognized Lockhart as the BBQ Capital of Texas. That says a lot in a state full of delicious barbecue. There are four restaurants that serve up great barbecue in Lockhart, so come hungry. I think it's best to come with at least a car full of people to split the meals with, to better preserve your appetite. With only two of us, we were full after just two stops. So I guess we'll just have to go back someday to try the others! 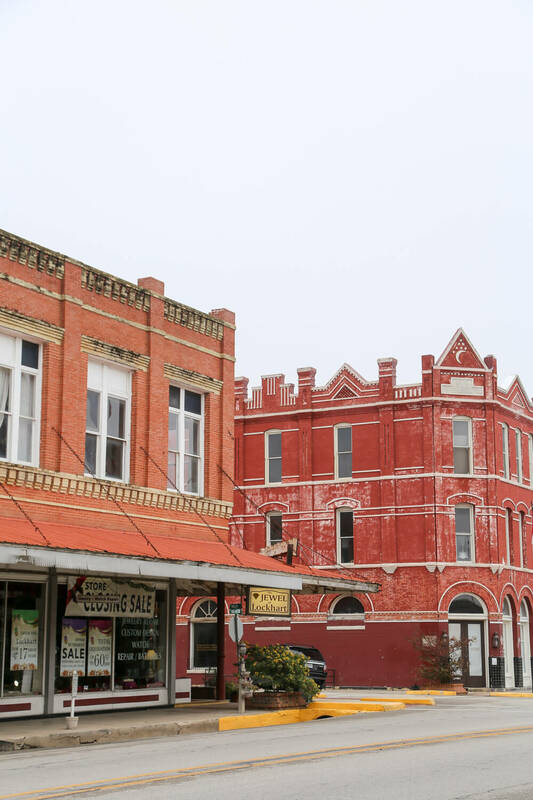 Downtowns in small Texas towns are hard to beat, and Lockhart was no exception. I hadn't seen a downtown with such wide streets before. I could almost picture the horses and carriages that the wide streets must have been built for. The courthouse is imposing in the center of town. And the surrounding blocks are full of tempting shops. Start your day here or take a stroll between meals to walk off that belly full of Lockhart BBQ. We had reasonable expectations about how much we were going to actually be able to eat so we decided to focus on Kreuz Market and Smitty's Market for our two Lockhart BBQ places to try. 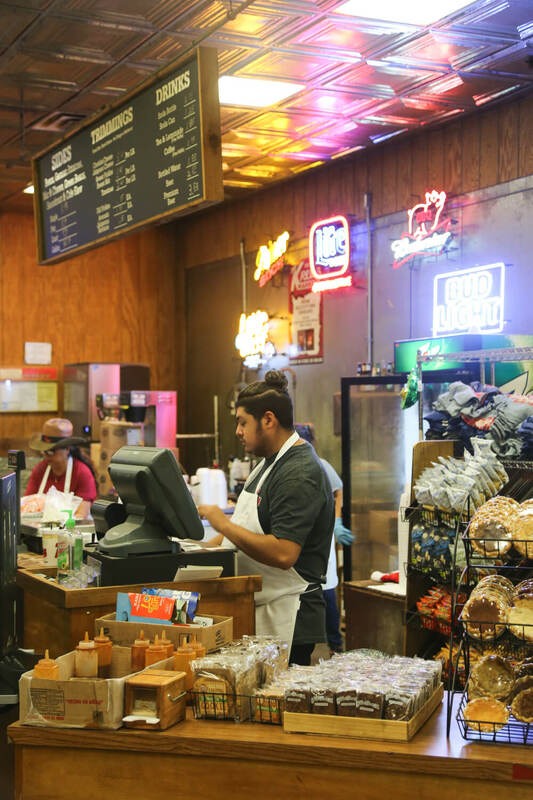 Kreuz has been open since 1900 but only recently moved to this new location in 1999 after a family disagreement. Rick Schmidt took the business a quarter mile north of downtown to this new location while his sister, Nina, opened Smitty's at the original downtown location. We wanted to compare both sides of this family feud. Walk towards the back of the building once you enter to order your meat of choice. We ordered shoulder clod (lean brisket), ribs, and jalapeño cheddar sausage. After ordering your meat move to the room on your right to order sides and drinks. VERDICT: AMAZING. My favorite was the jalapeño cheddar sausage. It didn't sit as heavy as you'd expect, and I loved the added flavor! There are no plates, your meat is folded up neatly into butcher paper. I heard there were no forks or sauce but we had both. Although the sauce was definitely not necessary! Next, we drove back downtown and parked on Commerce Street to try Smitty's. Enter on the Commerce Street entrance if you can, the walls, darkened from over a century of slow-smoked meat, make a powerful entrance. At the end of the hall admire the original brick pits and order up. We ordered fatty brisket, shoulder clod, and a pork rib. I ate too much sausage at Kreuz so I passed on it here. Butcher paper package of meat in hand, go into the dining room next door to order drinks and sides. There are no forks here, eat with your hands. When I asked why the girl just barked back "tradition!" (she must get that question a lot). Smitty's was the best barbecue in Lockhart (and best I have ever had!). I always order brisket but I never LOVE brisket. This shoulder clod was the most flavorful, buttery brisket I've ever tasted. I wish we had eaten less before because I wanted to want to eat more here. I was just too full. If you're still hungry and ready to keep going, here's where to go next. Next time we'll try these! Their claim to fame is being the oldest BBQ joint in Texas continuously owned by the same family. They've been in business since 1932 and are currently run by third and fourth generation members of the Black family. If you're ready to leave the tourists like me behind, finish up at Chisholm Trail, where the locals eat. The restaurant is located just south of town and has been open since 1978. Finish up your day of tasting the best barbecue Lockhart has to offer by loading your plate here, cafeteria style. Have you been? 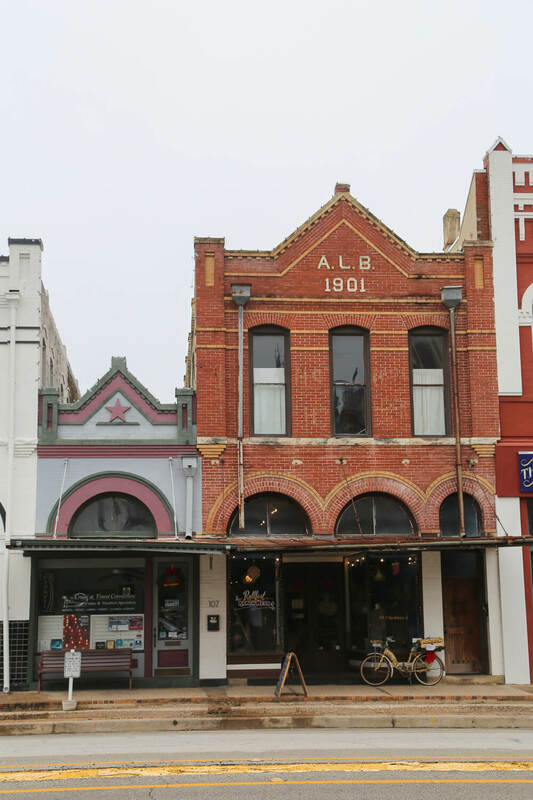 Which restaurant did you think served up the best barbecue in Lockhart? Let me know in the comments!